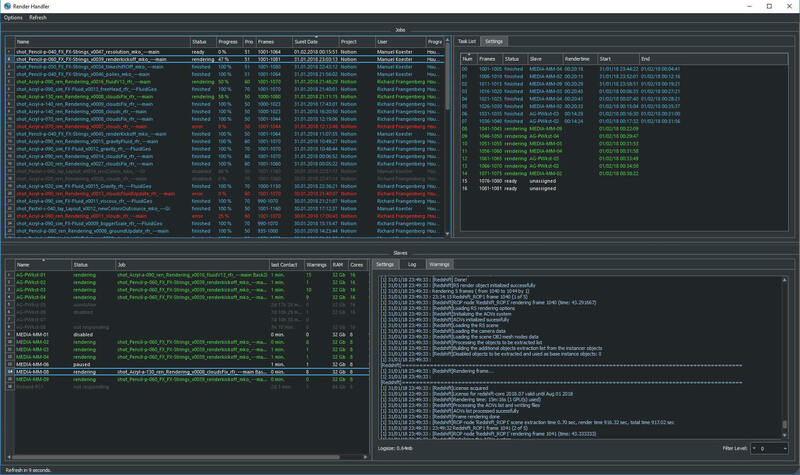 Queue unlimited renderjobs and assign them to available renderslaves. Monitor the progress of your jobs and view the log detailed information about the current status. You can give each job a different priority and assign the job to specific slaves or to a defined group of slaves. 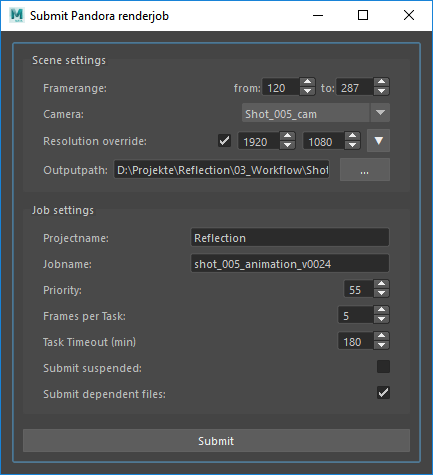 You can restart or disable individual tasks or the complete renderjob. Pandora supports renderjobs from Houdini, Maya, 3ds Max and Blender. For Houdini also simulation jobs are supported. You can use the integrated submitter from the Pandora shelf to submit jobs with a few clicks. If you use Prism you can submit jobs even easier from the State Manager. Pandora can work with job submissions and renderslaves from different locations over the internet. All that is needed for that is a synchronization of directories for example with a cloud service like Dropbox. View the source code or contribute to the project. 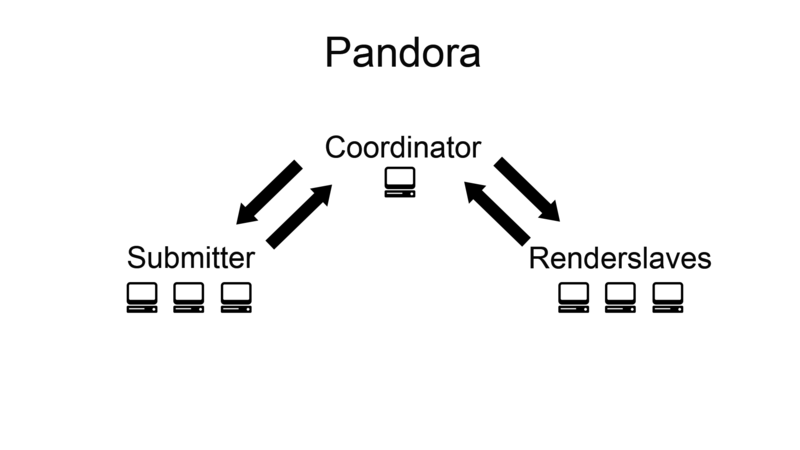 View the Pandora documentation for details about specific featues. Discuss your experiences with Panodara and submit new feature ideas or bugs. Pandora is licensed under the GNU GPL-3.0 License. You can use it for commercial and non-commercial projects, but please credit me if you distribute Pandora.